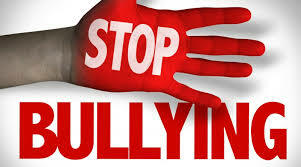 The Ministry of Education and Culture will be observing Anti-bullying week from Monday, October 15 to Friday, October 19. Co-coordinator and School Counsellor, Ms. Shaunice Leonard added that the week will end with a parade and rally on Friday, October 19 commencing from the Festival Grounds and continuing on DeCastro Street down to the Central Administration Complex where a short ceremony will be held. For more information on the week contact the Ministry of Education and Culture at 468-2151.